This is a repeat shirt pattern I made for hubs for Christmas of 2016. He likes to wear novelty shirts on Casual Friday at work and he asked me for another shirt. I showed him some fabric options and he chose Geckos in Black from Southwest Fabric, an Etsy shop run by Peggy Baird. I ordered 3 yards so I’d have plenty for pattern matching. Sorry for the glare from the lighting. Check out the pattern matching on the back yoke. Steam-a-Seam my friends. The pattern was an easy sew and I found that stitching on black hides a multitude of sins like not-so-straight top stitching. If you’re just starting to learn men’s shirt collars, I highly suggest doing so on black fabric and not using a contrast collar on the first (or second) attempt. I modified the pattern to accommodate Keith’s 50″ shoulders and 38″ waist. If sewn as drafted from the envelope, it would look like a tent around his mid-section. He’s definitely a sport-cut kind of guy when it comes to menswear. I also did a short sleeve. Who wears a novelty shirt with long sleeves? After I finished it, I hung it in his closet for him to wear. The next Casual Friday rolled around and he comes out of the bedroom ready to go to work and he’s not wearing it. I said, “Hey, I go to all that work for your new shirt and you’re not going to wear it?” He said, “There’s no pocket.” What? No. That can’t be. I went to look and sure enough – no pocket. Ugh. Well, that issue can be fixed easy enough…if you still have scraps. But I didn’t! I looked at home, I looked at our other house at the coast, I dug through every bin and by some freak of nature, I didn’t keep any of the scraps. 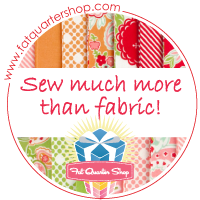 Now this fabric is $12 a yard and shipping is $6.70 so we’re talking another $20 for an 8″ square of fabric. He said not to worry about it but I know he’d never wear the shirt unless it was the last one in the inventory – which never happens since I do laundry more than once a week. So I went into my Etsy account and lamented to the seller about my stupidity and the situation hoping she still had some in stock. I asked if I could buy just 1/4 yd of fabric if that was at all possible. I mean I would buy a full yard if that was the rule but I was crossing my fingers. Let me tell you about this wonderful lady. Not only did she send me 1/4 yard of fabric, she sent it to me for FREE! I couldn’t believe it! I just love our sewing community. They are the most wonderful, giving, and generous souls. In our emails she said she completely understood the absolute need for a pocket and the fabric was on the way. She has definitely earned a repeat customer! Can you see the pocket? No? I just couldn’t let Peggy’s generosity go unacknowledged so I promised this glowing review of Southwest Fabrics on my blog. I also had a bit left after the pocket so I whipped up a pair of pot holders for her with a thank you note. I hope she likes them. 🙂 I put them in the mail yesterday. I DID have a rust colored scrap just big enough for the backing. For those who have been following my blog for any length of time, you know I’ve been griping about having long, dragging stitches in my quilts. This issue has been plaguing me since I bought my longarm back in Nov 16. There have literally been crying tears, screams, stomping, and tantrums as I could NEVER solve the problem. I could kind of solve it somewhat, but never completely. I have the King Quilter 18” (a Tin Lizzie), a Quilt Butler computer, and a Grace GQ frame. $15k worth of quilting equipment that hadn’t worked right since I got it. Faith, my friends. You must have faith. And wine. Wine definitely helps. One day (a year ago?) in my local quilt shop, I was lamenting about my problem and one of the employees said, “It sounds like your carriage doesn’t understand what your computer is telling it to do.” Hmmm. Interesting. So I got to looking under the carriage and sure enough, there were spots on the frame where the wheels of the lower carriage didn’t touch at all. Like completely free-spinning! And where the wheels weren’t touching the frame, is where the long stitches occurred. Now this sounds like I figured it out that day. No…my life doesn’t work like that. First I fiddled around with the encoders, then I messed with leveling the frame again, then I worked with realigning the tracks to make them parallel by taking the frame completely apart (twice) and putting it back together. I’ve fiddled with the alignment of the wheels on the carriage to make them fit the tracks in the troubled spots – but then they didn’t fit on the other parts. Needless to say, there has been a host of adjustments made to my frame and my carriage over the past 19 months. Everything is level – everything is parallel. SO WHAT THE HECK IS THE PROBLEM??? Grrrr. Then this week I FINALLY came across a way to definitively identify the root cause of the problem. In a nutshell, it was the tracks not being perfectly parallel, but finding that out was not as easy as it seems. If you only measure the parallel-ness (not a word but you know what I mean) sporadically on the frame like left/right/center, you don’t get the true picture. A laser level is the ONLY way to know and get it right because the tracks may be the EXACT same distance apart at each end of the frame, but in the middle of the frame there may be a tiny point where it twerks to the left or right 1/8” and then 3 feet later, it’s a full 1/2” off, but it’s still parallel to the track across from it. Like the entire frame takes a left turn at center where the two halves come together. Here’s an example of long stitches in the tan triangles. So I just let it go and let the grid lay flat wherever it wanted to, attempted to do the panto anyway, and the bobbin tension was so bad I had to rip it all out after 3 minutes. Did I mention screaming earlier? Yes, it was one of those days. No worries, I was alone in the house. He got his laser level and look. The laser light device is flush with the edge of the metal track making the laser beam start 1/2″away from the track. However, the ending point of the laser closest to me is touching the edge of the track. Where did that 1/2″ go? Mind you, the measurement between the tracks at the end of the frame show them to be parallel, so the issue kilters near the center of the frame. Hubs loosened the screws under the frame, made a few bangs of a rubber mallet from the underside of the tracks and then tightened the screws and NIRVANA! We spent about an hour going back and forth, slowly up and down making sure that all wheels touched the frame completely at every inch. And if they didn’t, we gave the tracks a little tap to one side or the other. We did the front track first and then the back track. Here’s the laser showing the correct position. The moment of truth came last night when I reloaded a quilt I’d removed for long stitches and the machine and computer and frame worked perfectly. Like completely, totally perfectly, PERFECT. Even the tension looked smoother than it ever had. I have a happy, happy Longarm quilting machine! And Becky is a happy, happy girl! Remember…faith!